Most of us have had the unpleasant experience of receiving an unexpected invoice for high-priced medical services that we assumed would be covered by our health care insurance. This is an example of why men with Low T symptoms should get an answer to the question of is low testosterone treatment covered by insurance if they are thinking about getting medical testing and treatment for this disorder. Anyone can go over the terms of the policy they have to try to find the answer to this question, but it is far more efficient to simply contact your health care insurance provider directly and speak to a customer service representative. However, you should be prepared to find out that there could be some conditions, restrictions or other limitations on the terms of your coverage for TRT (testosterone replacement therapy). All policies are different and have their own terms; but it is highly unusual for there to be no coverage provided for this treatment as long as certain medical conditions are met. Yet virtually all insurers will only provide coverage if a patient’s testosterone deficiency has been clinically verified to exist, which typically involves the use of specific blood tests that measure a patient’s available testosterone supply. So when you ask your insurer is low testosterone treatment covered by insurance, you will probably learn more about what they require for clinical verification from your TRT medical provider. You should also ask whether the doctor you choose to receive your Low T treatment from is going to make a difference in regard to the terms and conditions of your health care policy. This is the time to find out whether you will need a referral from your primary care provider in order to be covered; some policies even stipulate that coverage is only provided when the PCP is the doctor in charge of the patient’s diagnosis and treatment for testosterone deficiency. So ask for details when you talk to your health care insurance provider about the terms of your coverage in regard to using medically prescribed TRT. It can prevent you from being unpleasantly surprised after you have already started your treatment for low testosterone. What’s the Cost of Low Testosterone Therapy without Insurance? There are a variety of reasons why an adult might have to pay out of pocket for the cost of their Low T treatment; we have explained how insurance coverage can vary among providers, and there are still many adults in the US who don’t have conventional health insurance policies. But whatever the reason, when the answer to asking is low testosterone treatment covered by insurance turns out to be no, what is using Low T therapy likely to cost you? It will depend upon the form of treatment you decide to use, as well as the doctor or medical practice you use. Medical fees can fluctuate as much, or even more than, the cost and terms of health care insurance coverage; so if you are going to be financially responsible for the cost of your TRT, you will want to learn about the costs involved upfront. A good place to start is by learning about the different forms of Low T treatment that doctors can prescribe for patients today. The most widely prescribed form among TRT medical specialists is the use of testosterone injections. This is the form of treatment for low testosterone levels that has been in use for the longest time, because it is the original form – and for decades it was the only form of treatment available. It works by utilizing bio-identical in an injectable formulation (and there are several different pharmaceutically manufactured formulations available) to restore a patient’s levels to the normal and beneficial range. And for those patients who are self-paying for their treatment, it is a highly effective as well as affordable treatment option typically costing under $100 per month of use during the 6-month treatment cycle that doctors generally prescribe. The more recent additions to the range of currently available TRT options include an implanted time-release pellet form; transdermal adhesive patches; buccal formulations that are absorbed through the cheek tissue in the mouth; and the widely advertised topically applied forms (underarm creams and gels). While the answer for is low testosterone treatment covered by insurance is not an issue to a self-paying TRT, the cost usually is; so you should be aware that the topical gels and creams are going to be substantially more expensive for patients to use than the widely prescribed testosterone injections. One of the main reasons for this cost differential is that topical forms require daily applications, while injections are only administered a few times a month. How Long Will You Be Using Treatment for Low Testosterone? Testosterone replacement therapy is an ongoing form of treatment that utilizes cycles of approximately 6 months in duration to incrementally restore Low T levels to the optimal range for each individual patient. Every patient is going to have their own individual requirements for therapy, which will be determined by personal factors such as age, weight, degree of deficiency, and goals for therapeutic results. Once a 6-month cycle of treatment has been completed and their testosterone levels have been raised to the desired numbers, Low T therapy patients typically halt treatment to avoid having their levels become excessively high. During this period, their doctors will periodically have blood tests performed on them to monitor the amount of testosterone still available to them. When levels have dropped sufficiently, another cycle of treatment will begin. Most men who use this treatment to gain its health benefits and eliminate their Low T symptoms continue to use it indefinitely; without its use, their levels will once again decline and their symptoms will reoccur. Yet even though there has been no clinically established evidence that the long-term use of TRT comes with unacceptable health risks, some doctors have indicated that they question its possible risk factors. They feel that more documented results are needed to verify its safety in regard to extended use; however, in more than 50 years of medical usage all of the evidence indicates that the use of medically prescribed and supervised testosterone replacement is not only very effective, but very low risk, as well. You might want to keep this in mind when you ask about is low testosterone treatment covered by insurance and you intend to use it over the long-term. Why Can’t Your Own Doctor Prescribe Low T Treatment for You? All licensed medical doctors in the US are legally able to prescribe a controlled pharmaceutical substance such as bio-similar testosterone for clinically qualified patients. However, not all of them will do so. The reasons could be myriad; but some MDs don’t have the expertise in TRT that they believe a Low T patient will best benefit from, so they usually refer these patients to a medical specialist who has specific professional training and experience in hormone disorders. 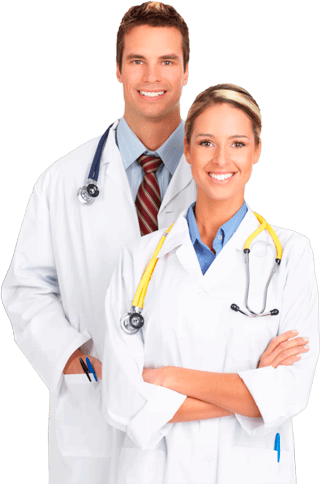 So if you have approached your own physician about testing and treatment for testosterone deficiency and he or she could not accommodate you, it is certainly reasonable to ask why. It is also reasonable to ask is low testosterone treatment covered by insurance, because some insurers will only provide coverage if the patient’s primary care provider is involved. Again, there are so many potential loopholes pervading the current US health care system that managing your own and your family’s medical requirements can often feel like a full-time job. But you can streamline and expedite the process for receiving Low T testing and treatment by utilizing an innovative online medical specialist like Nexel Medical. We have brought TRT into the 21st century through the use of digital technology that allows us to treat patients professionally and remotely. You, along with every other adult in the US who has Low T symptoms, can now be tested and treated by our highly respected TRT doctors without any need to leave your local area. We have a dedicated team of clinical advisors who assist our doctors by scheduling your diagnostic testing and medical exam locally; by being continually available to answer all of your questions and provide you with helpful advice regarding your treatment; and who are in constant contact with our experienced and knowledgeable doctors – the doctors who will be personally evaluating your condition of deficiency and prescribing a customized program for treatment for you that responds to your own clinical requirements. Even if you are still in the process of making your decision about using TRT, you are welcome to contact Nexel Medical and talk to one of our clinical advisors about your questions and concerns, Regardless of whether you need more information about is low testosterone treatment covered by insurance or about any other aspect of Low T, just give us a call and we will be happy to assist you.